A breakthrough in breeding, Sunsatias are truly accent plants for todays living. 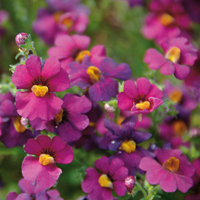 They will provide stunning colour in containers in modern patio gardens and outdoor living areas. 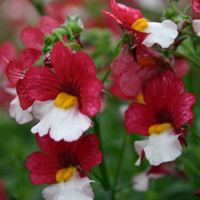 Sunsatia combines the best attributes of different Nemesia species into one tremendous series that will change the way we consider this genus for evermore. 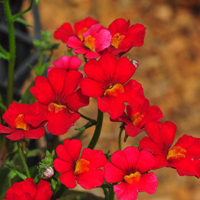 Bred in Germany by crossing South African annual and perennial species, Sunsatia hybrids are distinctively different from traditional Nemesias. 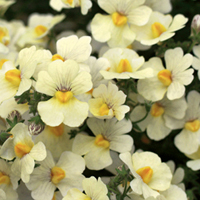 They produce more flowers, larger blooms, and flower for a longer period, and plants have greater vigour and an excellent branching habit. But above all they come in a range of previously unavailable colours. There are both vivid, luminescent bright colours and soft, subtle pastel shades. Within the Sunsatia series is a variety of growth habits. 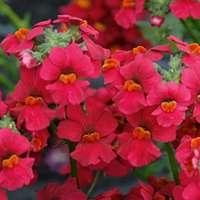 Upright forms are well suited to specimen planting in containers or as taller colour in combination planting. 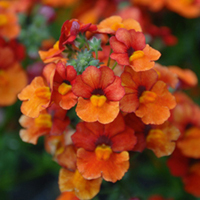 Spreading Sunsatias fill up a large pot or hanging basket giving a mound of coloured flowers for many months. Alternatively they can spill over the edge of combination planters. 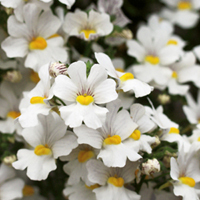 As a bonus, some varieties are scented. A third outstanding attribute of Sunsatias is their ability to withstand both cool and hot temperatures. 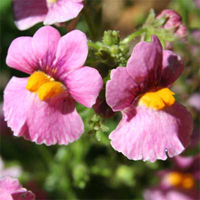 Past nemesias have generally collapsed in Australia’s spring and summer heat and humidity. 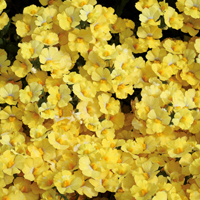 Sunsatias will be marketed as winter flowering and they do prefer cooler weather, but Australian trials have shown that as the weather warms up the blooms are smaller but still more than respectable. Sunsatias have received international accolades. The series was unveiled at the 2003 Chelsea Flower Show and every variety won a Royal Horticultural Society Silver Medal. Visitors expressed wonder at the intensity of the colours in the range. The series as a whole, as well as Sunsatia Coconut and Sunsatia Peach have won numerous awards at U.S. university trials.